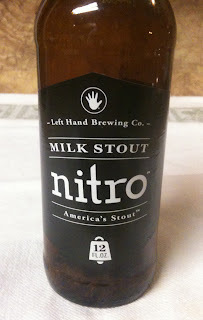 Today I am going to try the newly released Milk Stout Nitro from Left Hand Brewing Company. Twelve ounce bottle. Their web site lists 6% ABV and 25 IBUs. 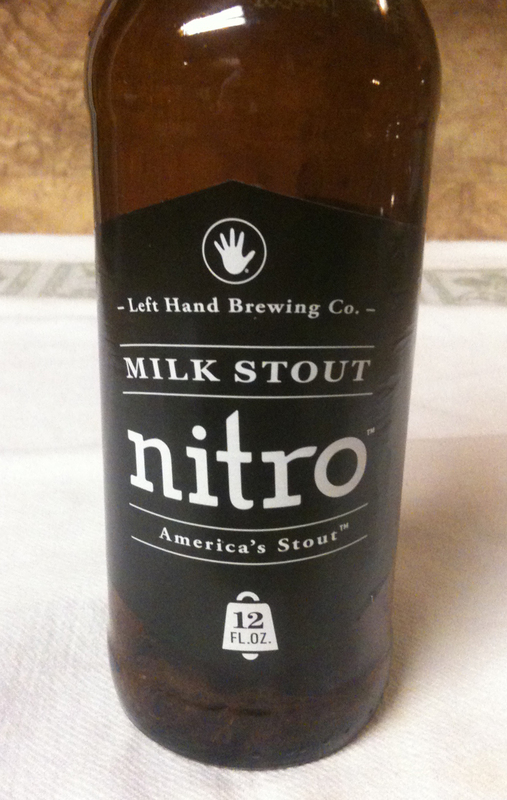 Nitro poured with a tight, medium head that was a fairly dark brown. The color is a blackish brown that no light penetrates in the glass. Great aromas of coffee and chocolate. 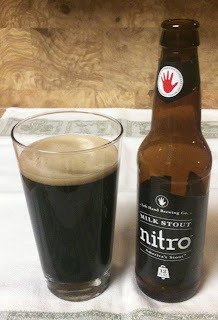 I have already sampled the regular Milk Stout - the Nitro is not as sweet, is more malty and has a heavier mouth feel. Nitro is more full-bodied. It is more along the lines of what I think of when I think stout - heavy, malty, chocolate & coffee notes. There is a slightly sweet, malty aftertaste. This is one serious beer and a hearty stout.